Chayton, looking to raise her second brood here at The WoodmenLife Tower, has laid 4 eggs this year. 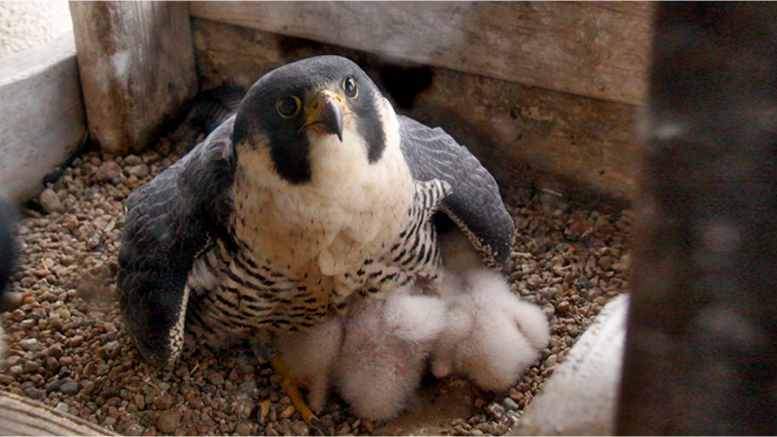 The rule of thumb is roughly 33 days from the last egg laid to hatching, so about a month from now, white and fuzzy eyases (baby falcons) will be squawking in Chayton’s nest. Too soon the babies will be grown – they usually take their first flight 39 to 49 days after hatching – so let’s enjoy every moment.